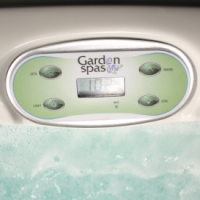 The Iris spa has 4 hand sculpted seats – allowing you, your family and friends to indulge in hydrotherapy massage. Iris can fit nicely into any location. Simply plug in and enjoy this 4 person love seat design.